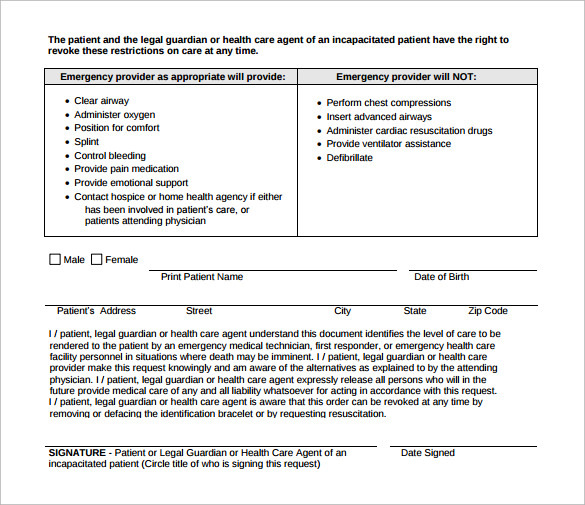 Resuscitation is an important medical step and should be carried out with utmost proficiency and professionalism. 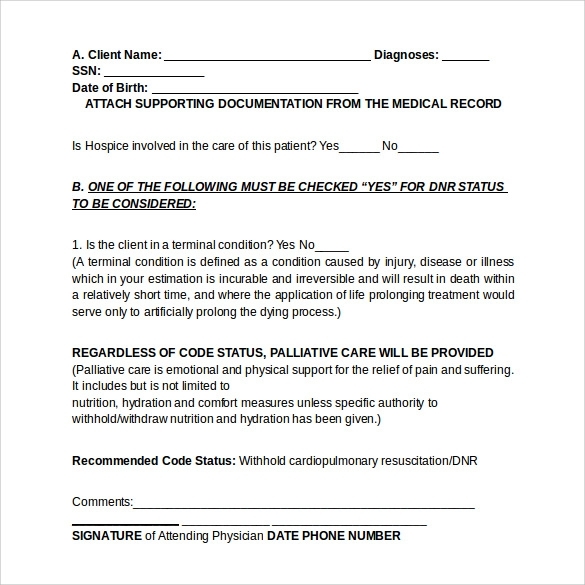 A Do Not Resuscitate Form should clearly mention the credentials of the concerned patient with the duration of Non Resuscitation period and the clear mention of the reason thereof. 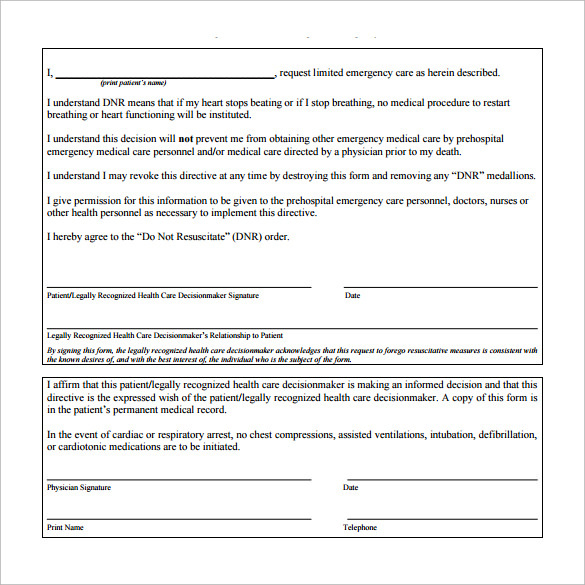 Patient’s and physician’s name needs clear mention in the Do Not Resuscitate Form. 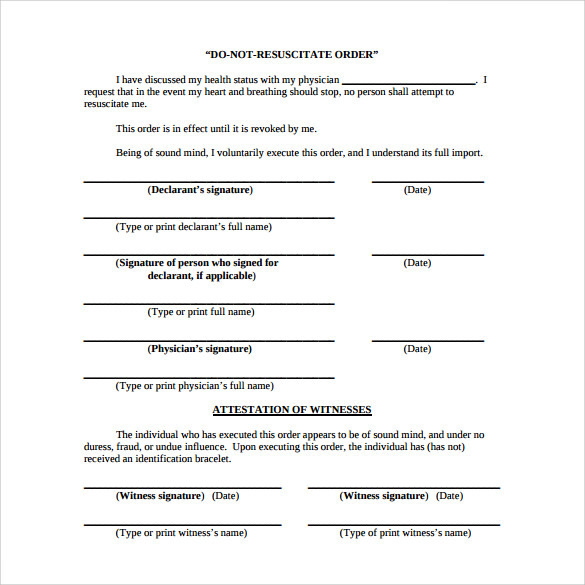 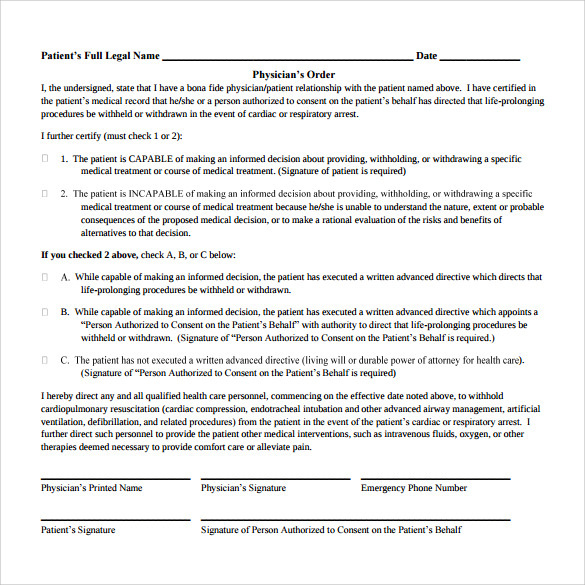 Now you can easily download our well crafted Do Not Resuscitate Form from our diverse range of customization templates available to you in word and PDF format. 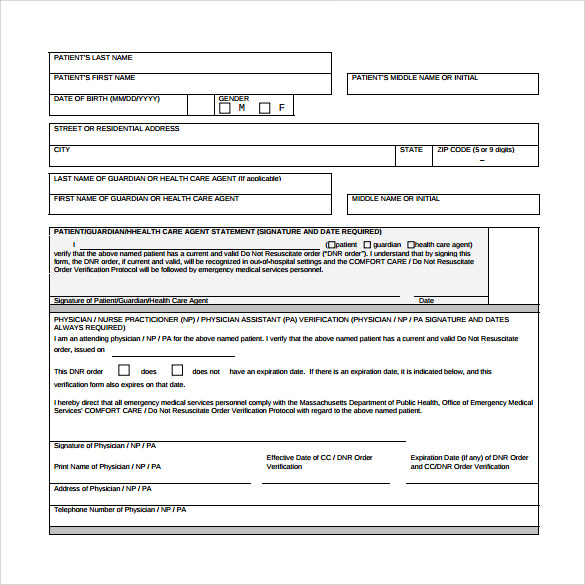 The format is as they are ought to be and the word limit is as concise as possible.